All of our Digital Marketing Programmes are based on our Award-Winning Solution Framework. Want to find out more about our Mentoring Programmes? Simply book a strategy call with Dawn and find out more about how to get everything you need to improve your digital marketing skill set and become a better marketer in the process. If you are looking for 1:1 Digital Marketing consultancy, coaching and mentoring to develop their digital and social media marketing strategy then our VIP Virtual Academy is the perfect solution for those who want accelerated results from their digital marketing whilst working alongside your own digital strategist virtually through interactive live online sessions. If you are looking for on-going coaching and mentoring then The Consort Club is ideal as we offer 2 levels of membership – Boost & Growth. 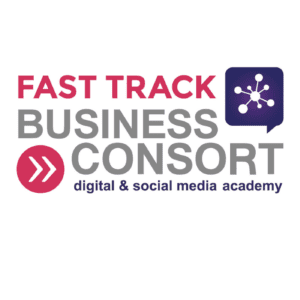 Attend our 2-Day Fast Track, 3-Day Ultimate Courses (with Growth Consort Club Membership) and half-day – Brand, Boost & Build Boot Camps (FREE VIP tickest with Boost Consort Club Membership) in Manchester & London at for FREE as part of our Mentoring Programme.